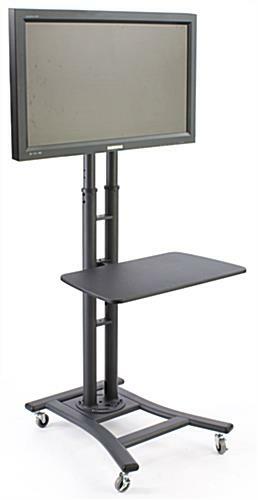 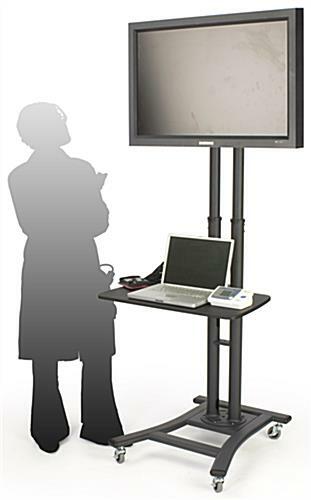 These LCD TV stands for 32" - 72" monitors are perfect for presentation and conference settings. 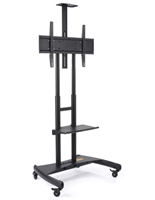 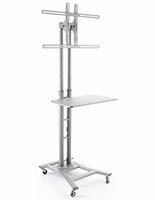 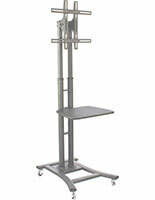 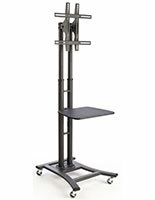 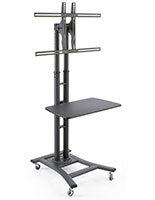 The height adjustable stand has 8 positions for optimal viewing. 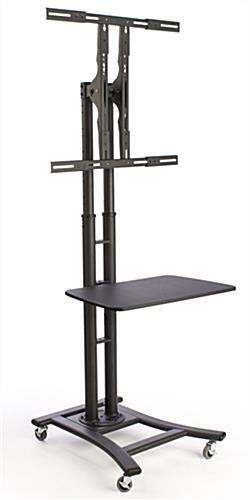 Each of the black stands is crafted from durable aluminum for maximum support of your expensive televisions and AV equipment. 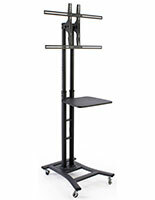 The included 28" inch shelf is ideal for DVD players or other compatible devices. 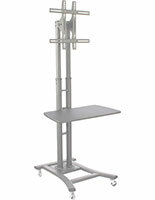 The stands can display TV's in either landscape or portrait orientation and are VESA comaptiable. 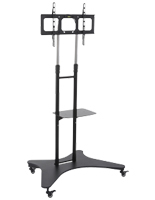 Order the pedestals for your LED televisions today!